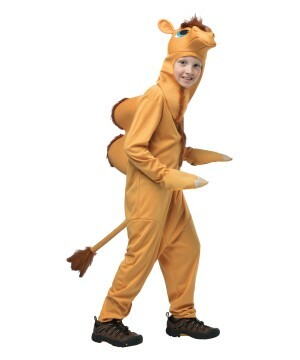 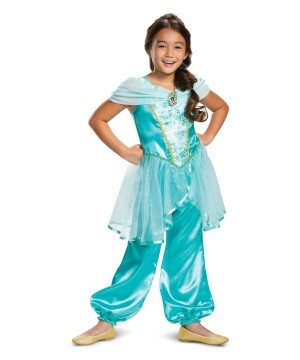 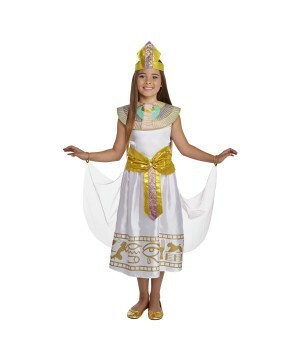 Presenting the most amazing selection of Egyptian Costumes for girls, select a Cleopatra Girl Costume or an Girls Egyptian Princess outfit great to be used for Halloween or any special occasion, such as birthday parties, school plays or play-pretend time. 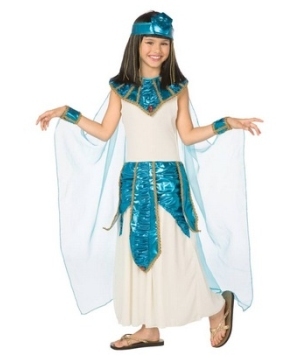 Welcome to Egypt, land of royalty and mystery! 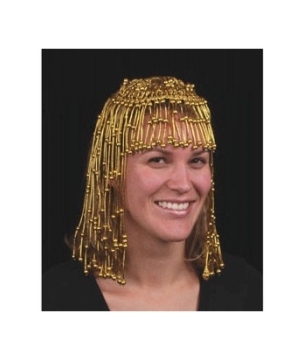 Now you have the chance to bring the past to the present. 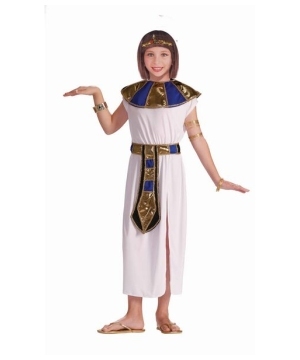 This Halloween your girl can dress in an Egyptian Costume and choose from elegant dresses, such as Cleopatra and Nefertiti disguises. 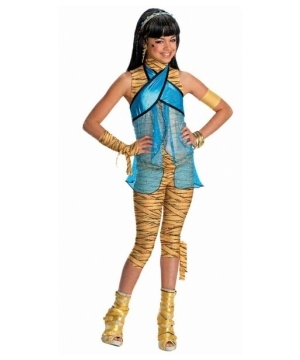 For those girls who prefer something a little more fun, choose to wrap yourself up in a Mummy Costume. 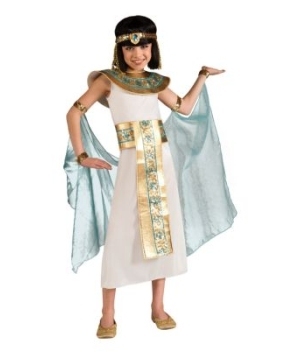 Remember when dressing your little girl with an Egyptian Costume to be very lavish, choose accessories that will complete her look, such as an Egyptian headpiece, a black Cleopatra Princess wig, or jewelry that will make her feel like part of the royalty of ancient times. 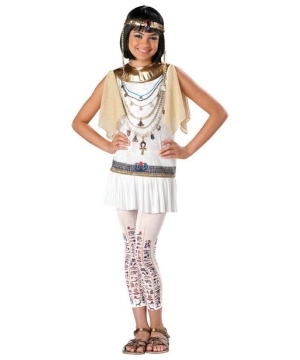 Most Egyptian outfits consist of a toga or white dress with lots of golden accents and jewelry to show wealth, a short black straight haired wig, a snake headband and leather string sandals to complete the traditional look. 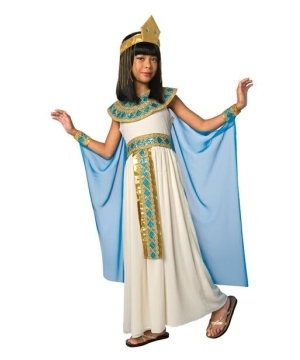 Girls won't go out wearing such elegant dresses without proper makeup, various images of Cleopatra show her wearing heavy eyeliner so don't forget to add that final touch to your girl's Egyptian outfit.